Around 2:00am, Nika and her friends decided to go home. Nika was confident that her friend who was driving had not had too much alcohol and was capable of driving them home. However, after driving a short distance, the car began to slide and the driver lost control. It slid off the road and turned three times before stopping in a trench. When the car stopped, there was silence. Nika and her friends were in shock. Then panic set it, and they started screaming. Luckily, none of them were hurt and they managed to get out of the car. 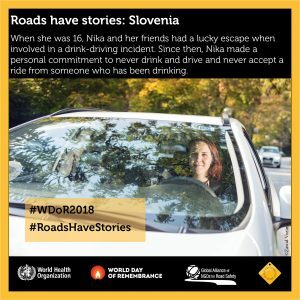 Nika wasn’t physically injured but the memories of the crash continued to haunt her thoughts during the day and her dreams at night. It took two years and psychosocial support for her to accept the crash and move forward with her life. For a long time, Nika wasn’t sure if she wanted to learn to drive herself, but this year, at the age of 21, she got her driver’s licence. She is very clear that she will never drink and drive and will never accept a ride from someone who has been drinking. 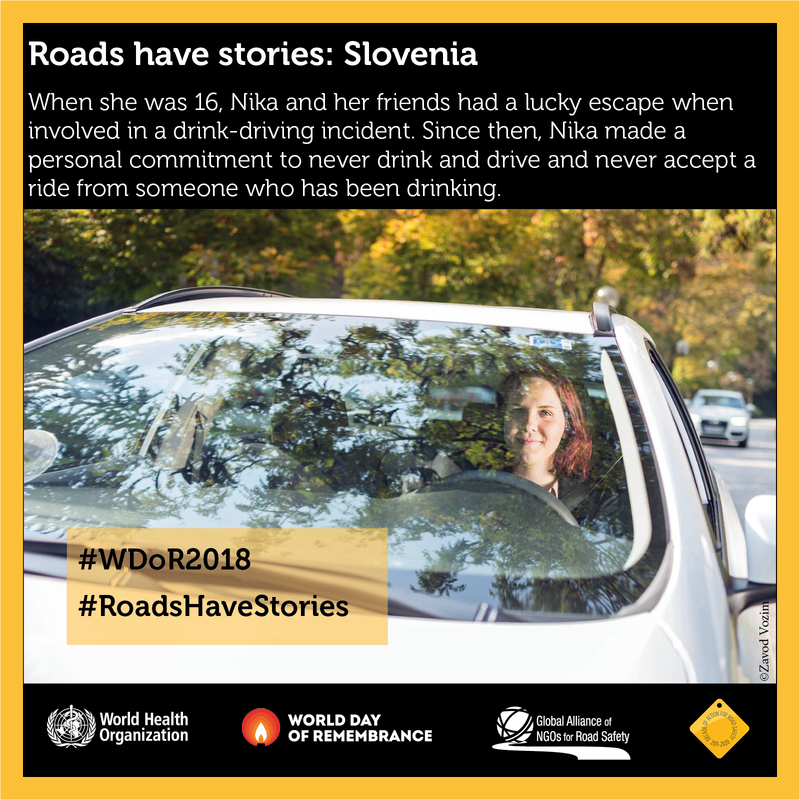 Nika is a young ambassador for Zavod VOZIM, an NGO that works with young people, event organizers, the media, and government decision makers to reduce drunk driving in Slovenia, through campaigns to change young people’s attitudes to driving after drinking and by advocating for changes in legislation and for transport home from public events. Read more about Zavod VOZIM HERE.